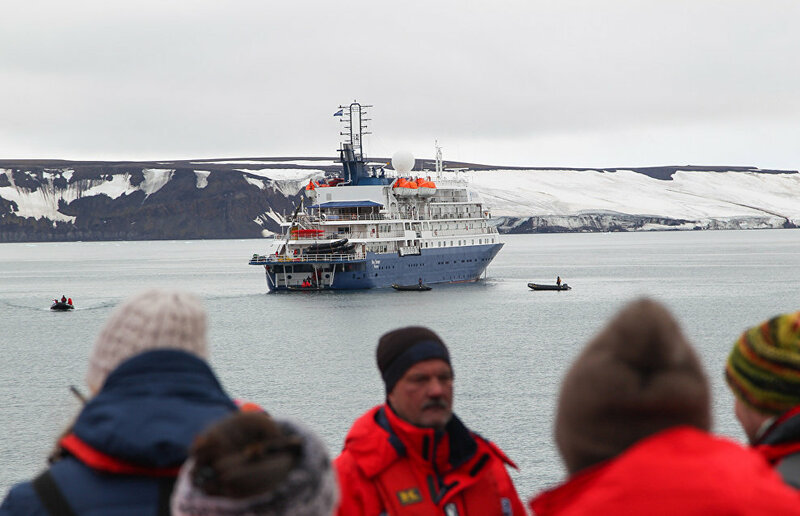 The Government draft law that aims to develop cruise ship tourism in the Arctic and Far East was approved by the State Duma in the first reading. As of today, foreign vessels with tourists onboard crossing the Russian border can travel in Russian inland sea waters and the territorial sea between ports open for ships under foreign flags, except for closed and temporally dangerous for navigation areas. However, when foreign tourist ships travel to areas adjacent to the Russian regions located in the Arctic zone or the Far Eastern Federal District, they can only call at ports included in the list approved by the Russian Government. The draft law suggests that the ports where foreign tourists can go ashore and return back to the ship should be specified in this list. "At the same time, it is necessary to determine the ports and places where ships can stop without tourists going ashore. This will allow to increase the number of tourist routes and tourist volumes and will make the Russian Arctic more popular," the Government believes. The list of ports where tourists are allowed to go ashore is expected to prevent foreign tourists from entering facilities designed for state defense and security. Also, information on ports where foreign tourists can leave the ship will help tour operators plan routes and visits to tourist sites, including those on land, with as little risk as possible. The law also allows foreign tourist vessels to take on food at ports while traveling in Russian inland sea waters and the territorial sea.